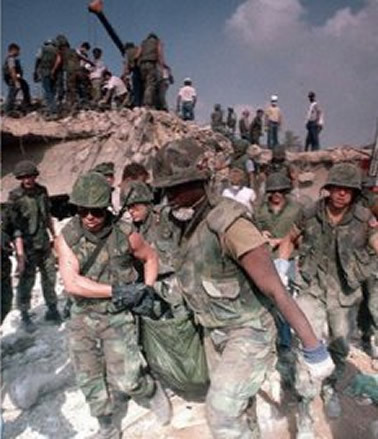 The 1983 Beirut barracks bombings were terrorist attacks that occurred on October 23, 1983, in Beirut, Lebanon, during the Lebanese Civil War when two truck bombs struck separate buildings housing United States and French military forces-members of the Multinational Force in Lebanon (MNF)-killing 241 U.S. and 58 French servicemen, six civilians, and the two suicide bombers. An obscure group calling itself 'Islamic Jihad' claimed responsibility for the bombings and that the bombings were aimed to get the MNF out of Lebanon. 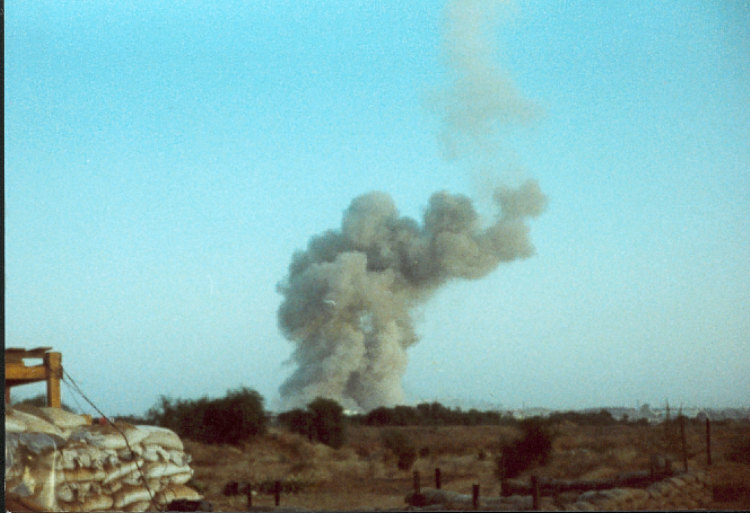 Two suicide bombers detonated each of the truck bombs. In the attack on the building serving as a barracks for the 1st Battalion 8th Marines (Battalion Landing Team - BLT 1/8), the death toll were 220 Marines, 18 sailors, and three soldiers, making this incident the deadliest single-day death toll for the United States Marine Corps since World War II's Battle of Iwo Jima, the deadliest single-day death toll for the United States Armed Forces since the first day of the Vietnam War's Tet Offensive, the deadliest single terrorist attack on American citizens in general prior to the September 11 attacks, and the deadliest single terrorist attack on American citizens overseas.